One of the natural things you can have in your bathroom is a pumice stone to help you with the removal of dead cells on the skin. Instead of going with artificial exfoliators, the pumice stone can work miracles removing dead skin cells from the feet. The abrasive and porous nature of the stone makes it the perfect exfoliator for the feet. What is a pumice stone? 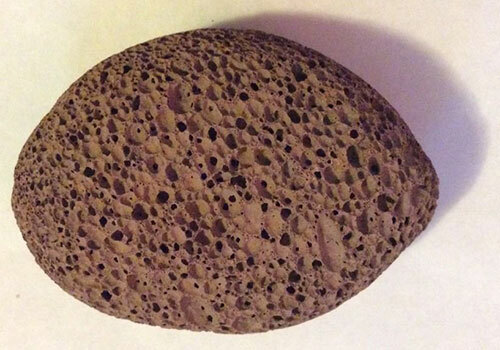 A pumice stone is formed when volcanic lava hardens and forms what we now call the pumice stone. It is a hard volcanic rock that has pores all over. It is abrasive features that make it ideal for scrubbing against your skin and removing the dead cells. Whenever there is a volcanic eruption, the hot lava mixes with water and hardens forming the pumice stone. It is 100% natural with only a few additions like a holder added to make it easier to use. There are several types of pumice stones in the market with the differences coming in their sizes and shapes. The composition is pretty the same with all been formed from hardening lava. If you take a look at your heels, you will probably find a hard callous layer. This is a layer that requires regular removal to maintain the smooth and beautiful looks of your feet at all times. The pumice stone can come in any shape, but most are designed in a rectangular shape to nicely fit your hand. It is well-sized and one you can easily hold and use with ease. The pumice stone is used when one is taking a shower. You can always have it stored in your bathroom as it comes with a string for hanging it on the wall. 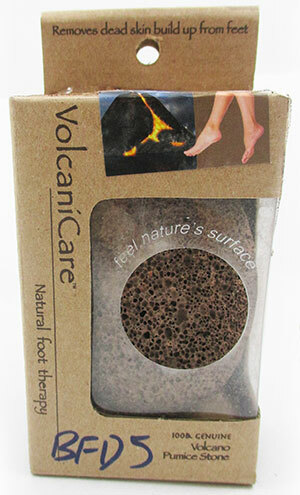 Make sure your feet are wet and soapy before starting to scrub it with the pumice stone. You can easily see as the dead skin cells are removed away. Rinse your feet with water and clean your pumice stone. You can also soak your feet in warm water before scrubbing it. You don’t have to scrub to hard as this is something you can do on a daily basis. It is important to clean your stone after use to prevent the growth of molds. Rinse it and hang it on the wall with the rope it comes it. It is quite simple to use to use and remains one of the best natural options that cost cheaper. It is also safer and reliable than most artificial feet scrubbers. To purchase this specific stone, you may find it here.